Before moving forward, let’s take a glimpse into the world of trials biking. 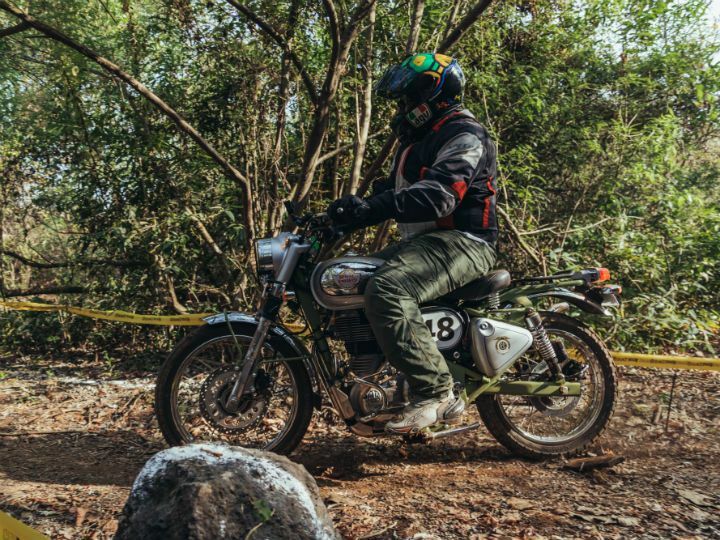 Observed trial competition or simply trials was one of the most popular motorcycle competitions in the UK and Royal Enfield actively participated in it from the 1940’s. 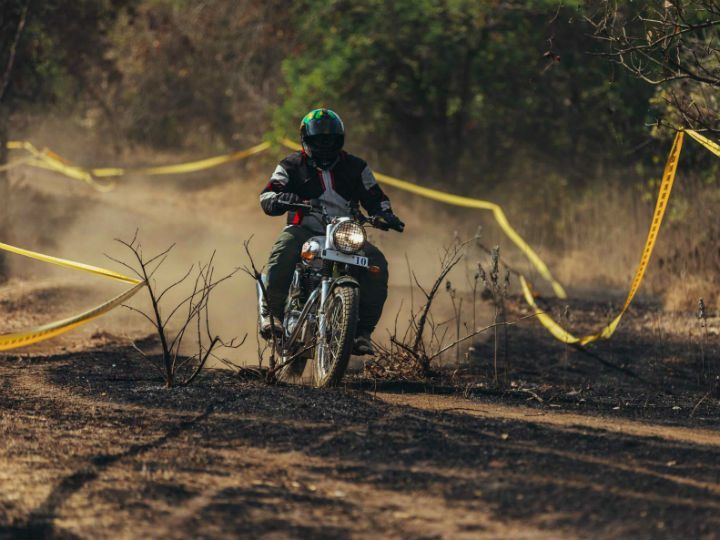 Trials is basically a series of natural obstacles that a rider has to pass without putting his foot down or stalling the bike. 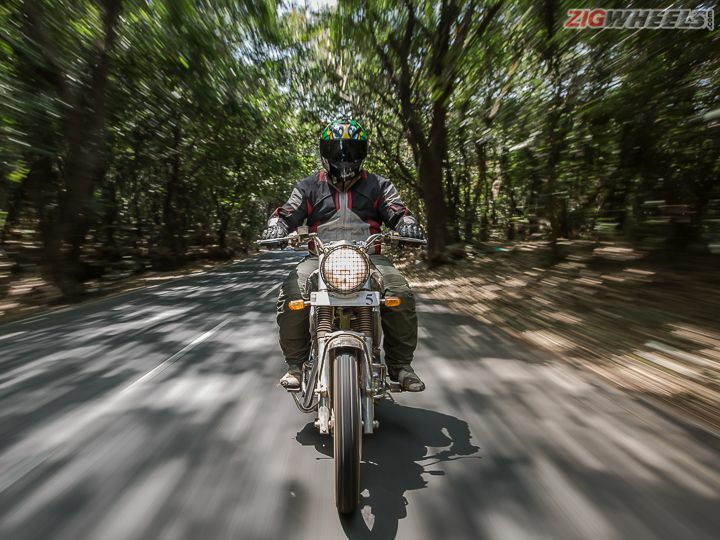 While it may sound simple, it isn’t and it really tests the skill of the rider and the mettle of the bike. 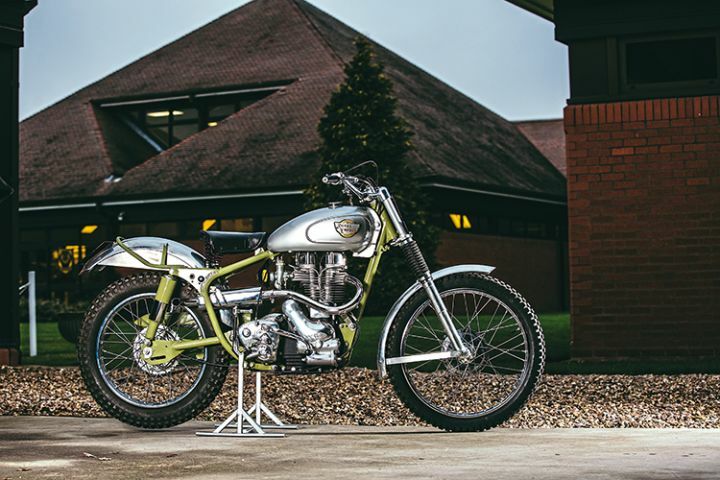 And Royal Enfield won the International Six Day’s Trial competition for six years on the trot between 1948 and 1953. RE is also offering a range of accessories specifically developed for the new motorcycle. 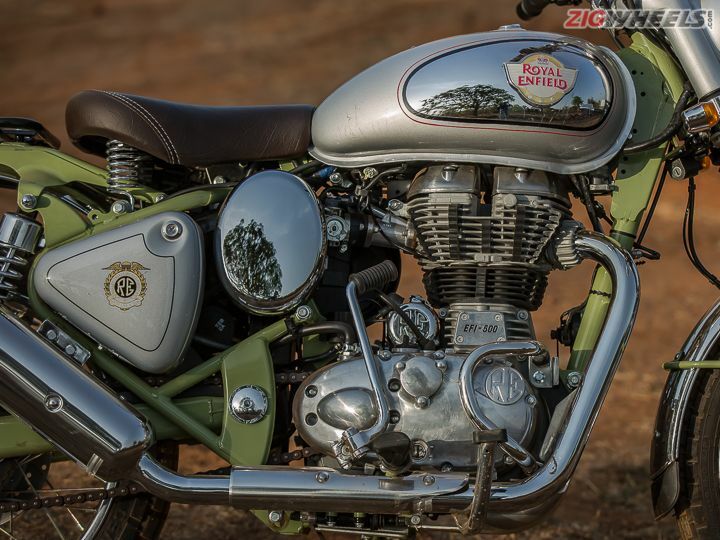 These include the headlight grill, brace cover, bash plate, engine guard and a numbered centre panel. 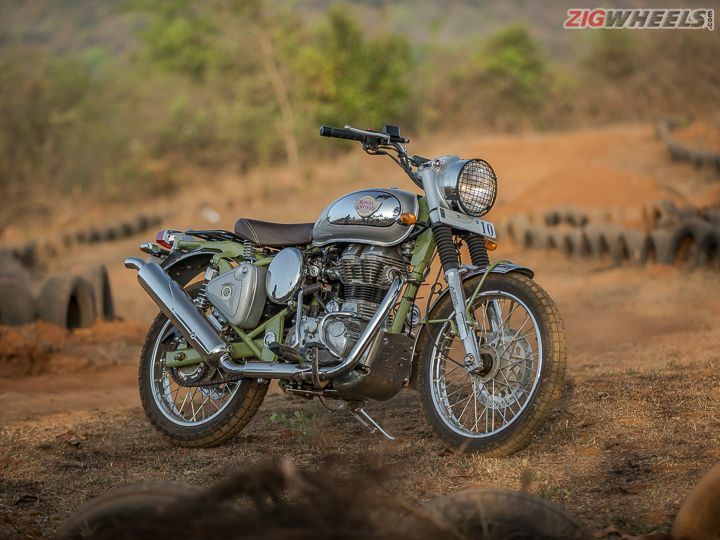 You can know about the pricing and more details of the accessories here – Royal Enfield Trials Accessory List With Pricing. 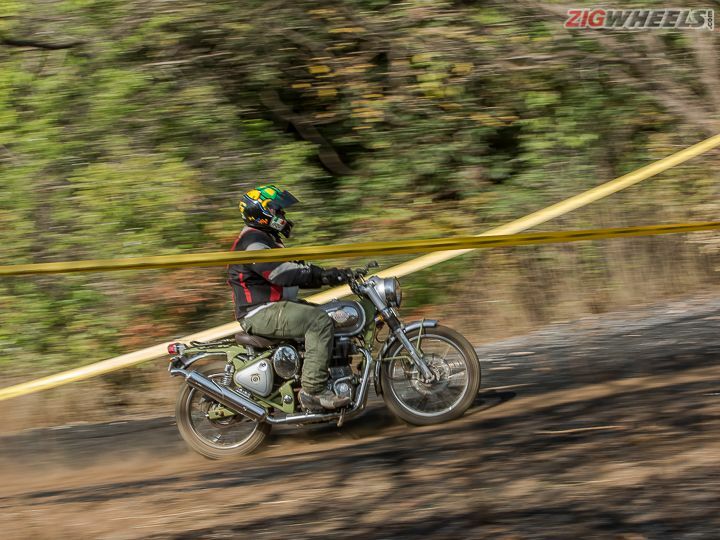 On the mechanical front, no changes have been made apart from the addition of semi-off-road Ceat Pro Gripp tyres. 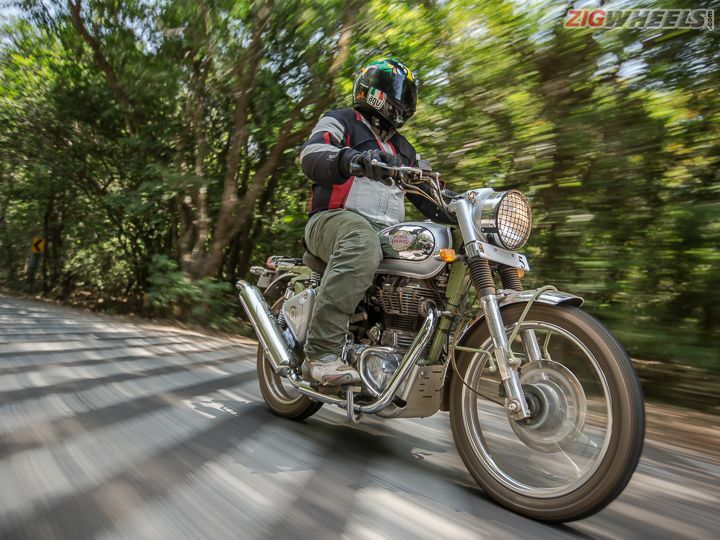 The chassis, suspension components, suspension travel, braking hardware and wheels are identical to the regular Classic 500. However, the new bike is 2kg lighter than the Classic at 192kg. The Bullet Trials isn’t a motorcycle that would appeal to all – and that includes Bullet loyalists. It’s basically a factory custom that will be suitable for urban riders who want to do a bit of trail riding on weekends. 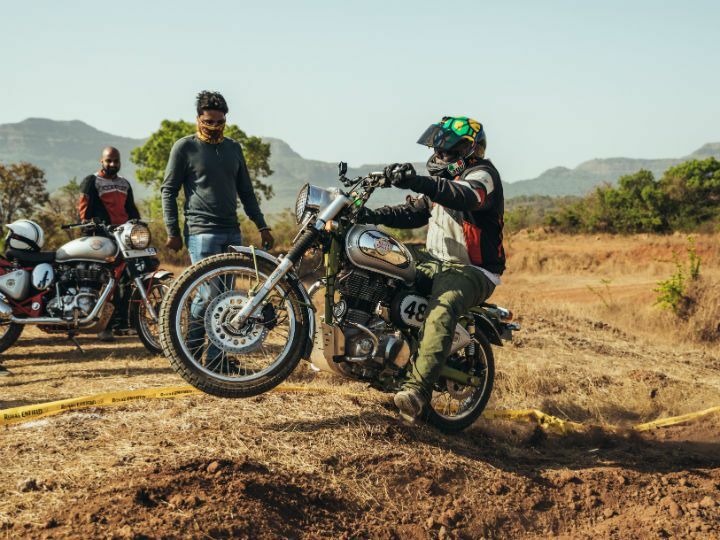 Also, one can easily customise a standard Classic 500 and do everything that the Bullet Trials 500 does and also revert back to a twin-seater if you like to – something which you can’t do on the new offering. 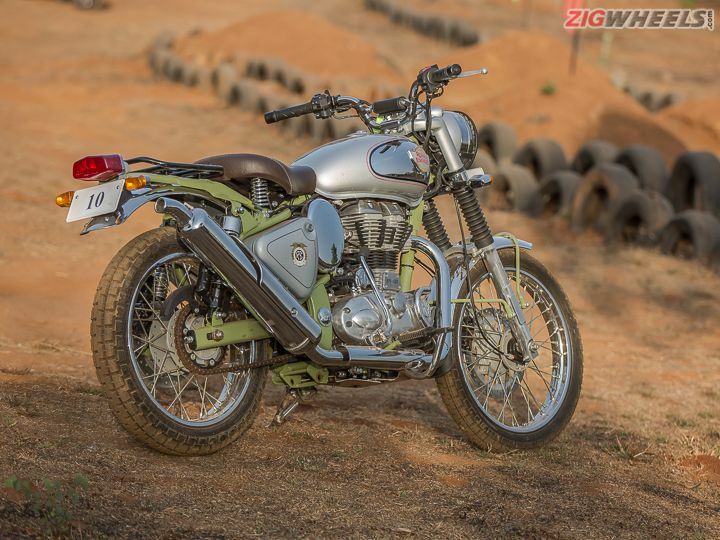 The only thing that you get on the Trials which might be a little difficult to source for the Classic yourself is the homologated, road-legal upswept exhaust. And of course, the other advantage on the Trials is that all these modifications are part of the standard bike warranty.